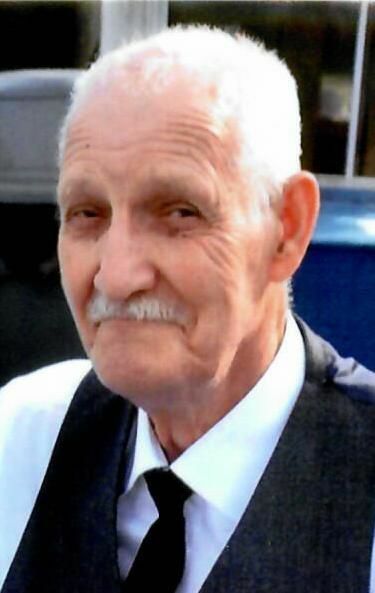 George A. Conner, 81, of Bedford, formerly of Clearville, passed away on Monday, Feb. 4, 2019, at home. He was born on April 9, 1937, in Mattie, a son of the late Filmore E. and Margaret (Hoopengardner) Conner. On July 23, 1962, in Winchester, Va., he married Irene L. (Clark). She preceded him in death on March 10, 2014. He is survived by daughter, Gloria L. Chalfante of Everett; step-children, Edward R. Leasure, of Bedford; Barbara E. Leasure of Bedford; and Marlene I., married to Ezekial “Zeke” Clark, of Bedford, who was raised by the family; grandchildren: Shawn Chalfante, Christopher Chalfante and Shannen Chalfante; one great-granddaughter, Grace Elizabeth Chalfante; and sister-in-law, Carol Conner of Everett. Along with his wife, George was preceded in death by siblings: Carrie Cogan, V. Earl Conner, Ada M. Hott and Conda L. Conner; and son-in-law, David Chalfante. He worked for various autobody companies and later as an electrician. George worked for the Pennsylvania Game Commission for 40 years and later for the Maryland Department of Natural Resources until his retirement. Family and friends may call at the Akers Funeral Home Inc., 299 Raystown Road, Everett on Wednesday, Feb. 6, from 4 to 8 p.m. and on Thursday from 10 a.m. until the hour of service at the funeral home. Funeral service will be held on Thursday, Feb. 7, at 11 a.m. in the Chapel at Akers Funeral Home, with Pastor John Bennett officiating. Burial will be held at Rock Hill Cemetery, Clearville. Online condolences may be expressed at www.akersfuneralhome.com. Cloudy with showers. High 61F. Winds light and variable. Chance of rain 60%..
Light rain early...then remaining cloudy with showers overnight. Low around 55F. Winds SE at 5 to 10 mph. Chance of rain 70%.